DOES ANY OF THIS STILL APPLY? I’ve been spending a lot of time this spring with Alexis de Tocqueville’s Democracy in America. Title Page of the first American edition of Tocqueville’s classic, published in 1838. Tocqueville wrote this classic at a time when democracy was still a novel experiment in the world. Its future was uncertain. Its impact was unclear. And although he was writing about democracy in a very specific historical context (he arrived in the United States at the midpoint of Andrew Jackson’s first term as president), his investigation was driven by questions as relevant today as they were in the 1830s. I thought I’d share just a few quotes that are going into my commonplace book. Democracy in America is so rich that I could share quotes from it for months and still not get to all the good ones, but here are a few of my favorites. They come from the 2004 edition translated by Arthur Goldhammer of the University of Virginia. I give them below without further comment, except to share my opinion that Tocqueville’s insights strike me as timeless. I’d welcome hearing your thoughts. And My All-Time Favorite . . . I recently finished reading Society, Manners, and Politics in the United States, by Michael Chevalier. Don’t feel too bad if you haven’t read it (or even heard of it)–it’s current ranking on Amazon is #2,875,870. Chevalier was a twenty-eight-year old Frenchman sent to the US by the French government in 1833, two years after the far more famous mission of his fellow countrymen Alexis de Tocqueville and Gustave de Beaumont. An engineer, Chevalier’s assignment was to study the American transportation and communications systems, which he did diligently and systematically over the next two years. During his travels, he periodically sent back lengthy letters (thirty-two in all) that were published at the time in a French journal, and then compiled and released in book form after his return. The first English translation appeared in 1839. Chevalier paid greatest attention to railroads, steamboats, and canals, but he was interested in economic development generally (he discussed American banking at length) and also discussed U. S. politics extensively as it intersected with and influenced the nation’s economic life. It was in that context that I came across the quote below with regard to Andrew Jackson. I’ve previously written about some of the parallels between Andrew Jackson and Donald Trump (a comparison that the latter actively invites), but the quote below was so striking that I had to pass it along. For reasons of domestic policy . . . many enlightened men who had at first treated the idea of supporting him for the presidency with ridicule gave in to the plan, trusting that they should be able to exercise a salutary influence over him. His fiery temper seemed in fact to be calmed by his elevation; the recollection of his oath of office which, at the moment it was made, was made in good faith, was yet fresh. He conscientiously resolved . . . to be moderate, patient, and calm. . . . But this state of constraint was insupportable to him; it is too late to reform at the age of sixty years. This drawing by Matt Chase first appeared in the New York Times, February 17, 2016. 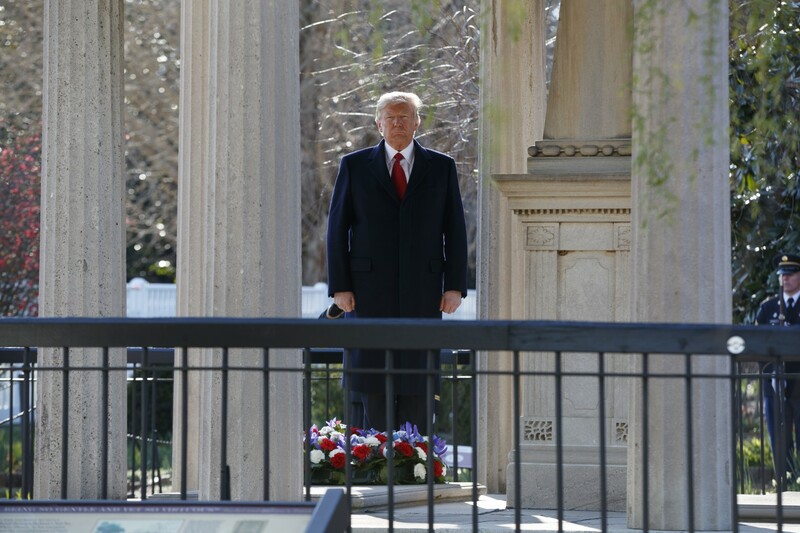 If you were following his itinerary last week, you will know that President Trump visited the grave of the nation’s seventh president, Andrew Jackson, on the way to a political rally in Nashville. Mr. Trump counts himself “a fan” of Old Hickory, almost certainly not because of anything he has read about the Tennessean, but because adviser Stephen Bannon has convinced his boss that Jackson was an 1830s version of himself. When Bannon lauds Mr. Trump as “Jacksonian,” he is expressing his wish/hope/vision/agenda that history will remember Trump as a “populist” leader who gave birth to an entirely new and permanent political party. History will show whether he was right. But in the meantime, I can’t help worrying about other aspects of the Trump-Jackson analogy. In his regular column in the Washington Post last Thursday, Wheaton alum Michael Gerson lamented that the president had chosen “a deeply disturbing hero.” I agree. Having confessed this limitation, I’ll say on the other hand that I have been teaching on both Jackson and Jacksonian democracy for thirty years, and on balance I have found Jackson to be more scary than admirable. 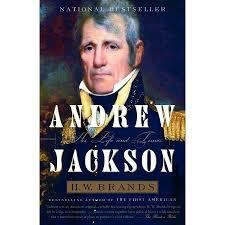 Over the weekend my view was reinforced as I read H. W. Brands’ biography Andrew Jackson: His Life and Times (Anchor Books, 2005). Brands is a distinguished historian at the University of Texas, author of twenty-five books, and twice a finalist for the Pulitzer Prize. His take on Jackson is deeply researched, engagingly written, and largely sympathetic. And yet Jackson’s character flaws leap off the page. I could go on, but I think you get the point. Mr. Trump could find a better role model. In truth, Jackson received too much credit in both respects. Jackson’s “Proclamation to the People of South Carolina”—a vigorous argument for federal supremacy and the perpetuity of the Union—was in fact ghost-written by Senator Edward Livingston of Louisiana. What is more, Jackson’s approach to federal authority was far from consistent. At the same time that he was threatening to hang “nullifiers” to the closest tree he could find, this champion of the Union was effectively inviting the state of Georgia to abrogate federal treaties with the Cherokee and encouraging them to defy the U. S. Supreme Court. And when it comes to Jackson’s relation to the rise of American democracy, it is hard not to see that correlation as almost entirely coincidental. Jackson’s political leadership was too personal, too impetuous, too erratic to credit him with a purposeful contribution to a more democratic public square. Although the Whigs could be guilty of exaggerating Jackson’s political sins for partisan purposes, and they were not above duplicating them for partisan gain, their fundamental indictment of Jackson was pretty much on target. Jackson too often functioned as a reckless, anti-intellectual populist. His knowledge of, and respect for the Constitution was suspect. And he had a knack for framing issues in a way that made the people feel aggrieved and willing to accord him more power so that he could protect them from the powerful. Let me unpack this seemingly harsh assessment. First, when I say that Jackson was reckless, I mean that he was motivated more by instinct, emotion, and personal feeling than by any systematic political philosophy or vision. His temper was legendary, he chafed at restraint, and he always took disagreement personally. He was involved in multiple duels. He killed a man for insulting his wife. He exceeded his authority as a military commander after the War of 1812, very nearly embroiling the United States in a war with Spain and prompting Secretary of War John C. Calhoun to recommend his removal. Once in the White House, he very nearly brought his administration to a grinding halt because the wives of some of his cabinet members refused to socialize with the wife of his Secretary of War. 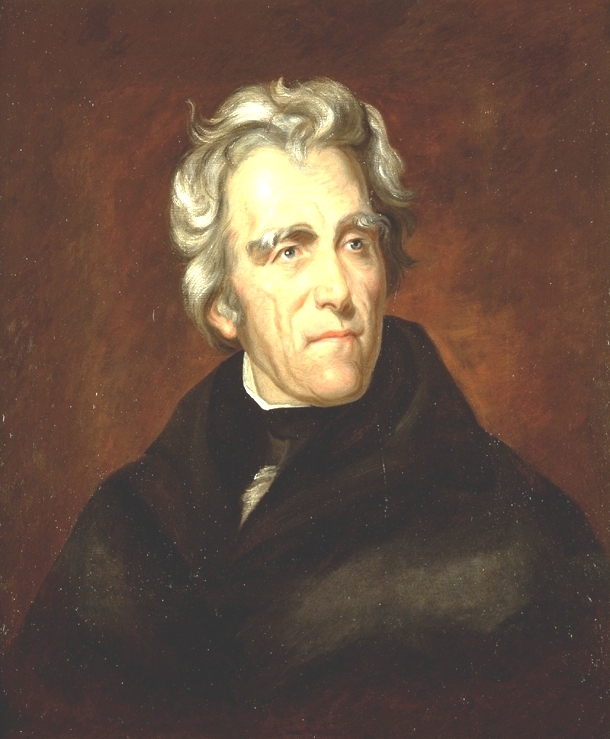 Jackson was also the first populist U. S. president. A populist sees (or claims to see) the world as a struggle between the people—always clothed in robes of moral righteousness—and a powerful minority who would subvert the people’s welfare for their own selfish gain. A populist politician routinely portrays himself as the hero of this drama, a noble champion charged with defending a helpless populace against the insidious forces that threaten them. There was little in Jackson’s public life prior to 1824 to predict that he would become a populist. Born in poverty, he parlayed influential connections and a knack for land speculation into a fortune that made him one of the largest land- and slave-owners in Tennessee. During the War of 1812 he exploited a political appointment as general of the Tennessee state militia into a series of important military assignments, but he quickly built the reputation of a harsh disciplinarian not averse to putting deserters in front of a firing squad. Then in 1824 the Tennessee General Assembly nominated Jackson as a candidate for president and support for his candidacy began to grow, particularly in what was then “the west.” This growing support was not due to his political experience, of which he had very little, but rather a tribute to his military success in defeating Creek Indians at the Battle of Horseshoe Bend and then the British army at the Battle of New Orleans. Jackson took approximately 40 percent of both the popular and electoral vote in the four-man presidential election that followed, which is another way of saying that three-fifths of voters wanted someone else to be president. It was then that Jackson discovered the moral authority of majority rule—or plurality rule, to be more precise—because when John Quincy Adams won the run-off in the House of Representatives, Jackson insisted that the system was rigged and that he had been robbed of the presidency. In private letters, Jackson lashed out at Speaker of the House Henry Clay, a rival for the presidency who had actively worked against him in the run-off. The Kentuckian Clay became the “Judas of the West,” a metaphor that could only hold if Jackson was analogous to Christ. Publicly, Jackson lamented that the authority of the people had been disregarded and the wishes of the Founding Fathers had been trampled. Ignoring the inconvenient truth that the Framers of the Constitution had feared unfettered majority rule, as well as the fact that the Constitution does not require that there be any direct popular involvement in the election of the president, Jackson pronounced that his defeat was unconstitutional. 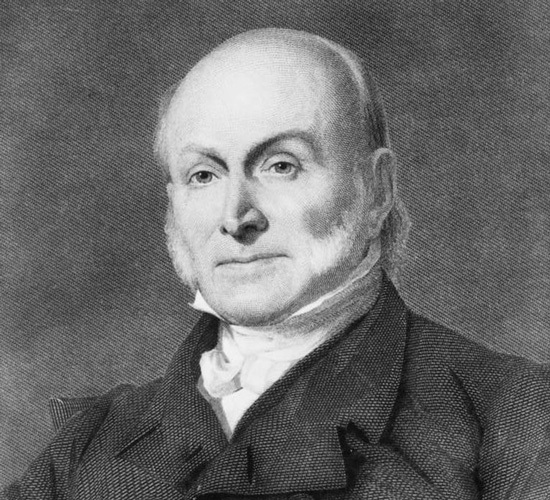 The Constitution’s authors, he insisted without a scrap of evidence, would have condemned the election of John Quincy Adams as a violation of the people’s rights. In 1824 Jackson’s campaign managers had primarily portrayed their candidate as “General Jackson,” the hero of New Orleans who deserved their vote because of his patriotism and self-sacrifice. In 1828 the campaign shifted to a full-throttled populism, denouncing the supposed “Corrupt Bargain” that had stolen the presidency from the people’s choice and handed it to John Quincy Adams. Demonstrating the anti-intellectualism that so often accompanies populism, the Jackson campaign argued fantastically that Adams’s education and extensive political experience disqualified him from the nation’s highest office. While Jackson had barely a year of formal schooling and minimal political experience, Adams, after graduating from Harvard, had served as a congressman, senator, ambassador, Secretary of State, and now president. According to his political lieutenants, Jackson was the more qualified. Without openly discussing the size of Jackson’s hands, they portrayed their candidate as a man’s man and Adams as an effeminate intellectual. Who do you want as president, they asked voters: “Jackson who can fight, or Adams who can write?” And Adams’ extensive political experience was no more an advantage than his education, for political experience undermined, rather than enhanced, a candidate’s ability to serve the public. Jackson would drive home the point in his first annual message after claiming the presidency on his second try. “There are, perhaps, few men who can for any great length of time enjoy office and power without being more or less under the influence of feelings unfavorable to the faithful discharge of their public duties,” Jackson opined. The solution was what Jackson called “rotation in office,” or what Americans in more recent times have known as term limits. To prevent their corruption, make sure that American office holders are always novices. Nothing would be lost in terms of effectiveness, Jackson assured the nation, because “the duties of all public officers are . . . so plain and simple that men of intelligence may readily qualify themselves for their performance.” Who needs experience? 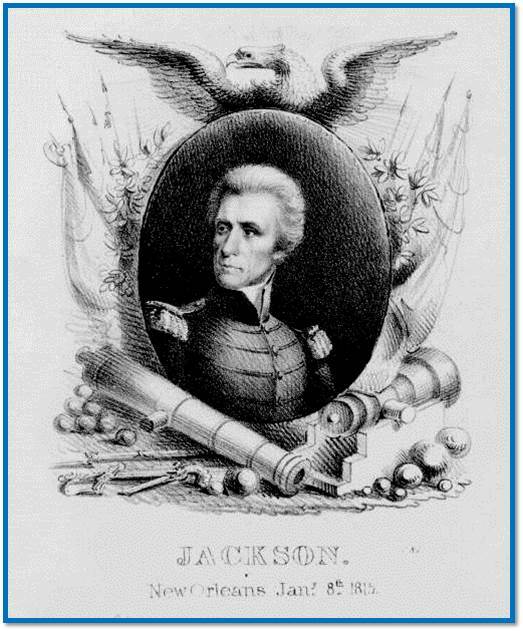 During the eight years that Jackson was in the White House, the episode that best exemplified Jackson’s populism was the so-called Bank War of 1832-1833. In 1832 the supporters of the Second Bank of the United States—including the “Judas of the West” Henry Clay—had maneuvered a measure through Congress to extend the charter of the bank for another twenty years. 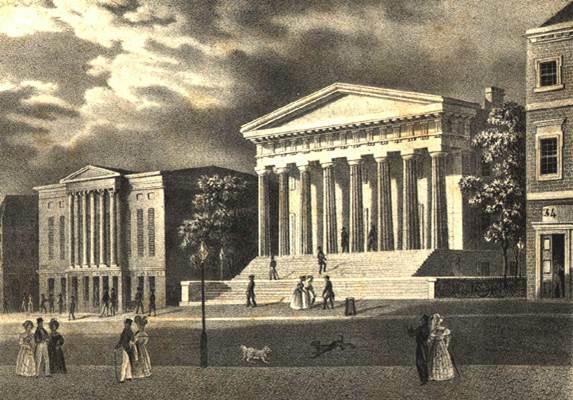 The descendant of an entity originally proposed by Alexander Hamilton, the bank had been chartered by Congress in 1816 in the hope that it would provide a circulating medium for the nation’s economy and bring greater stability and soundness to the country’s often turbulent financial sector. The bank’s defenders were correct in saying that the bank was largely fulfilling these objectives. The bank’s detractors were also surely right that this private agency wielded considerable power with minimal accountability. Jackson, who knew almost nothing about how banks actually function, did know this: the bank’s strongest champions were among his most outspoken critics, and that made the effort to renew the charter a personal attack. In the summer of 1832 he vetoed the measure on multiple grounds, two of which deserve special attention. 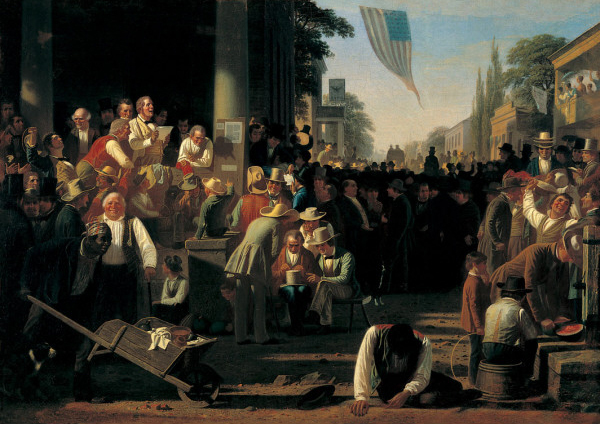 First, Jackson portrayed the struggle over the Bank in classic populist tones. The proposal to extend the life of the Bank was nothing more than an effort of rich men to make themselves richer. “It is to be regretted that the rich and powerful too often bend the acts of government to their selfish purposes,” Jackson lamented. Fortunately, the victims of such injustice—“the humble members of society”—could look to him for protection. To use current terminology, Jackson portrayed the Bank War as a scheme to use government to enrich the 1 percent at the expense of 99-percenters. In actuality, among the chief opponents of the Bank of the United States were other bankers—financiers who resented the competition of the B.U.S. and expected their profits to rise if their rival could be eliminated. There is little evidence that common folk were better off because of the demise of the Bank of the United States, and historians have long speculated that Jackson’s assault on the Bank may have contributed to a severe economic recession at the close of his second term. That is debatable, but this much is not: when Jackson removed all federal deposits from the Bank of the United States, he divvied them up among state banks—Whigs called them “pet banks”—that were run by his political allies. 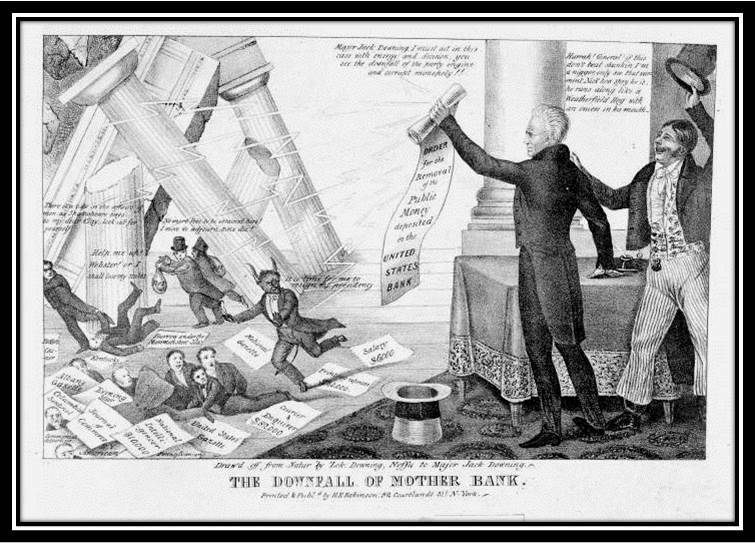 This contemporary cartoon depicts Jackson bringing down the pillars of power and privilege through his war against the bank. Near the center of the picture, fleeing Jackson’s righteous wrath, is the president of the Bank of the United States, sporting horns and cloven hooves. Boiled down, to the degree that the Constitution placed any restrictions on his actions as president, Jackson alone would determine what they were. The Constitution would mean what he said it meant. With this comforting philosophy, Jackson would go on to veto more measures than his six predecessors combined. Whatever else it meant, Jackson’s zeal for the public welfare meant an expansion of the power of the presidency. 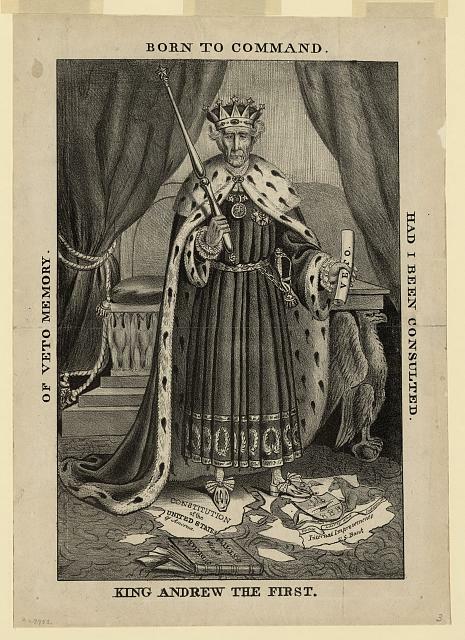 This caricature of Andrew Jackson, by an unknown artist, likely appeared in the fall of 1833. Jackson stands on a shredded copy of the Constitution. 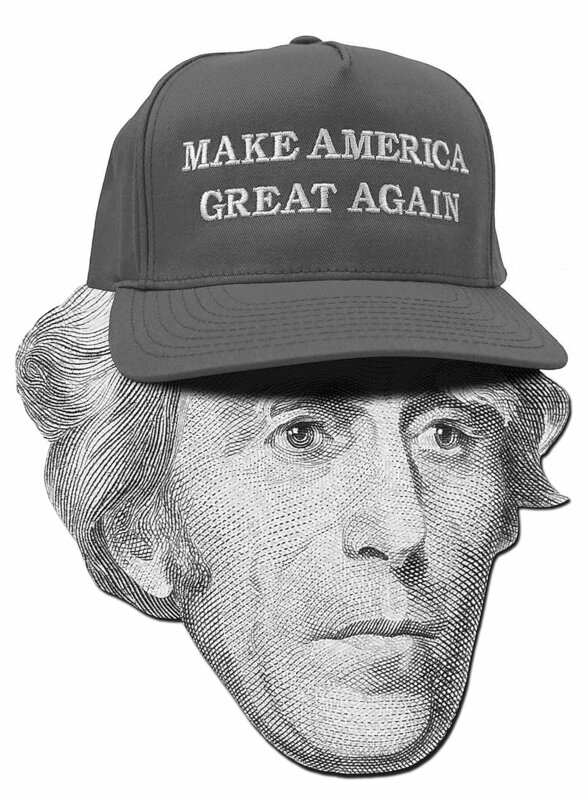 When the Treasury Department announced earlier this spring that it would be removing Jackson from the front of the twenty-dollar bill, I applauded, although I found much of the online exultation after the announcement off-putting. Most of the voices raised in support of the decision emphasized Jackson’s support for two practices—slavery and Indian removal—supported or at least accepted by the vast majority of white Americans at the time. While condemnation of these practices is the morally correct position for us to hold, it is also a morally cheap position, in that it demands absolutely nothing of us. Who in 2016 would stand up to defend either practice? What courage is required to denounce them? What troubles me most about Jackson is not the ways in which he was a man of his time, but the ways in which he anticipated our day and age. In his elevation to the presidency almost two hundred years ago, we see a foreshadowing of the emotional, frequently irrational politics of 2016. And in Jackson, we see the combination of reckless, anti-intellectual, populist bravado that the current “presumptive nominee” of the Republican Party has so wonderfully perfected. If Jackson’s presidency teaches us anything, however, it is that successful populist politicians don’t always bring more power to the people. Sometimes they just amass more power for themselves. (1) Let’s start with the simplest—Alexis de Tocqueville never wrote these words. (You know this by now if you’ve been following along.) That doesn’t make the statement itself false, but it does make the quotation spurious. That won’t stop speechwriters from using it, but the rest of us can at least cry out “Check your sources!” the next time we hear it a political rally. (2) “America is great because she is good” isn’t only misattributed; it’s also misquoted. The problem isn’t just that somewhere along the line we mistakenly put someone else’s words into Tocqueville’s mouth. We’ve also garbled the lines that we’ve incorrectly ascribed to him. It seems likely that the quote originated with two English Congregational ministers who visited the U.S. three years after Tocqueville did and also published their impressions. But the reverends Andrew Reed and James Matheson predicted that “America will be great if America is good,” an assertion that’s much less congratulatory than the one we’ve grown fond of. (3) Taken at face value, the assertion is so vague as to be meaningless. It contains two critical terms that cry out for definition. What does it mean to say that “America is great?” Do we mean that America is powerful? Does it have something to do with the unemployment rate or the material standard of living, the nature of our trade agreements or the quality of our airports? Does it have anything to do with justice, mercy, dignity, or respect? Is it dependent in any way on the extent of equality or of freedom? In like manner, what in the world do we mean when we say that “America is good”? When the rich young ruler addressed Jesus as “good teacher,” Christ corrected him: “No one is good—except God alone” (Mark 10:18). What exactly are we claiming when we insist that America is “good”? Obviously, the standard of measurement is not what Jesus had in mind, but what is the standard of measurement, and who gets to decide? These are questions that every free society should grapple with regularly—in our homes, in our schools, in our churches, and yes, in our endless presidential campaigns. The claim that “America is great because she is good” could be a useful starting point for that national conversation, but only if we wrestle with it and push back against it. As it commonly functions, however, “America is great because she is good” doesn’t inspire deeper thought or provoke productive conversation. It becomes a substitute for thought that ends conversation. We hear it, cheer, and move on. That’s the best-case scenario. What is far scarier is the possibility that we might take the adage seriously and come to believe it. (4) From the perspective of orthodox Christianity, “America is great because she is good” badly muddles our thinking about democracy. For all their emphasis on the importance of virtue to the survival of the republic, the Framers of the Constitution proceeded from a skeptical view of human nature in erecting the framework of government for the new nation. “What is government itself but the greatest of all commentaries on human nature?” James Madison famously asked in Federalist #51. “If men were angels, no government would be necessary.” Although the Framers hoped that virtuous leaders would often hold office, they by no means took that for granted. On the contrary, they assumed that humans were predominantly self-interested (as did Tocqueville). This meant that unlimited power was always a threat to liberty—whether it was wielded by a king, by elected representatives, or by the people directly—and they instituted a series of checks and balances into the constitutional system to curb that possibility. 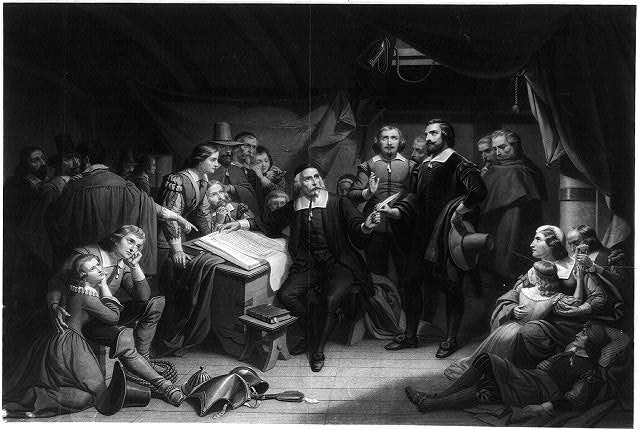 The Framers’ skeptical view of human nature was a casualty of the democratic revolution that unfolded during the first half-century of American independence. The democratic ethos that dominated the American mentality by the 1830s took for granted the unassailable moral authority of the majority. The conviction that majority rule invariably promotes moral outcomes is nonsensical unless it rests on a positive view of human nature, an unstated assumption that men and women are, at bottom, basically good. You may think all men so good that they deserve a share in the government of the commonwealth, and so wise that the commonwealth needs their advice. That is, in my opinion, the false, romantic doctrine of democracy. On the other hand, you may believe fallen men to be so wicked that not one of them can be trusted with any irresponsible power over his fellows. That I believe to be the true ground of democracy. “America is great because she is good” perpetuates a false doctrine of democracy. (5) It follows that “America is great because she is good” promotes self-congratulation rather than gratitude. As more than one commentator on this blog has observed, a close reading of Tocqueville’s analysis points more to divine grace than human virtue. In explaining the flourishing of American liberty in the 1830s, Tocqueville credited “a thousand circumstances independent of man’s will,” laws and legal practices inherited from earlier generations, and a range of moral and intellectual habits, including a hefty dose of self-interest. In place of such complexity, the quote that we so love substitutes a simplistic formula with little room for God’s unmerited favor. A works-based righteousness is lurking here. For the Christian, “Lord, I thank you that I am not as other men are” is as unbecoming in politics as in any other arena of discipleship. So what did Alexis de Tocqueville really think of American Christianity, and why should American Christians care? For the past couple of weeks, I have been writing about a reassuring adage popularly attributed to Alexis de Tocqueville’s Democracy in America, namely that “America is great because she is good.” This line has long been favored by politicians and pundits, and just this summer it’s cropped up in places as disparate as Hillary Clinton’s acceptance speech to the Democratic National Convention and a policy statement by the Harvard Republican Club. If you’ve been following the series, you know by now that Tocqueville never penned these exact lines—they’re almost certainly plagiarized (though inaccurately) from the writings of two British Congregational ministers who visited the United States shortly after Tocqueville did. More importantly, Tocqueville didn’t argue anything as simplistic as the bumper-sticker slogan we’re fond of attributing to him. Tocqueville didn’t write as a partisan. He wanted his analysis of what was then the most democratic nation on earth to be useful to a world moving fitfully in the direction of ever greater democracy, but he bristled at the prospect of his painstaking analysis being hijacked in the service of a particular political or religious faction. This is why one of the most prominent features of Democracy in America is its complexity. There’s a good reason why it’s more than eight hundred pages long. Tocqueville visited seventeen states and conducted more than two hundred interviews during his nine-month tour of the United States, and then he meditated and reflected on what he had seen and heard for the better part of another decade as he sought to make sense of it all. He concluded that there were numerous factors that helped to explain the flourishing of liberty in the United States. Least important, though still hugely significant, were “a thousand circumstances independent of man’s will that ease the way for the democratic republic in the United States.” Even more important were laws and political practices inherited from an earlier time, some brought to American shores by 17th-century Puritans, others codified by the Revolutionary generation in the structure of American federalism and the specific features of the U. S. Constitution. More important still were what Tocqueville labeled “mores,” by which he meant “the whole range of intellectual and moral dispositions that men bring to the state of society.” In sketching the latter, Tocqueville described Americans as acquisitive and materialistic, independent-minded, individualistic, rationally self-interested, and religious. Clearly, this does not boil down to a conclusion that “it was the ‘goodness’ of America’s people that made America work,” as Eric Metaxas curiously insists in his recent summary of Democracy in America. But rather than leave it at that, we need to dig deeper into what Tocqueville actually believed about American Christianity. It’s in Tocqueville’s description of the role of religious belief in Jacksonian America that the casual reader will most likely be led astray. Why is this? The main reason is that, when it comes to the Frenchman’s views on American Christianity, there are really two Tocquevilles. There’s the Tocqueville who underscores the importance of Christianity to American democracy, and the Tocqueville who raises questions about the influence of democracy on American Christianity. This is a historical problem, obviously, in that it makes it harder for us to figure out what Tocqueville is actually saying. But there’s a sense in which it’s also a moral problem. All things equal, we—and here I mean Christian readers—will like the first Tocqueville better. The first Tocqueville pats us on the back, tells us that democracy can’t survive without us, and hands us any number of effective quotes to hit our unbelieving neighbors over the head with. The second Tocqueville is a less pleasant conversation partner. He’s less impressed with American Christianity and seems to suggest that there was a fair amount of conforming to the world among Jacksonian-era believers. Put simply, the first Tocqueville congratulates us, the second wants to convict us. Because of this, Democracy in America lays bare one of the great temptations that we face when we study history: the temptation to use the past as ammunition rather than learn from it and be changed by it. Consciously or unconsciously, we’ll be inclined to highlight the passages that reinforce what we already believe (or want to believe) and tune out the inconvenient parts that don’t advance our agendas. With regard to Democracy in America, if we’re not careful we’ll be all ears for the Tocqueville we want to hear and deaf to the Tocqueville we may need to hear. Let’s start with the first Tocqueville, the one who many American Christians will be glad to listen to. Without doubt, Democracy in America offers one of the most eloquent arguments for the importance of religious belief to political liberty ever penned. The “spirit of freedom” and the “spirit of faith” were intimately intertwined in America, Tocqueville maintained, and it was no coincidence that the United States was simultaneously “the most enlightened and the freest” of nations and “the place where the Christian religion has kept the greatest real power over men’s souls.” There was a general principle at work: democracies need religion if they are to survive and flourish. And yet—and this is the crucial observation that so intrigued Tocqueville—the American majority did not fully utilize its power to oppress the minority. Acknowledging the enormous exception of southern slavery, Tocqueville believed that, on the whole, in America the potential for injustice vastly exceeded its actual extent. To use Tocqueville’s terminology, in America the majority was omnipotent but not tyrannical. Why was this, Tocqueville wondered? No one in the United States has dared to profess the maxim that everything is allowed in the interests of society, an impious maxim apparently invented in an age of freedom in order to legitimate every future tyrant. Thus, while the law allows the American people to do everything, there are things which religion prevents them from imagining and forbids them to dare. This contribution was so critical that Tocqueville concluded that, although “religion . . . never intervenes directly in the government of American society,” it nevertheless functioned as “the first of their political institutions.” If religion did not give Americans “their taste for liberty,” he concluded, “it does notably facilitate their use of that liberty.” Yes, we like this Tocqueville. Tocqueville was more circumspect about what he shared in public, but he still peppered Democracy in America with observations that should give us pause. For example, even while emphasizing the compatibility between Christianity and political liberty, Tocqueville hinted that Americans had so conflated the two that they tended to support Christianity as an expression of patriotism. American preachers refer to this world constantly and, indeed, can avert their eyes from it only with the greatest of difficulty. Seeking to touch their listeners all the more effectively, they are forever pointing out how religious beliefs foster liberty and public order, and in listening to them it is often difficult to tell whether the chief object of religion is to procure eternal happiness in the other world or well-being in this one. 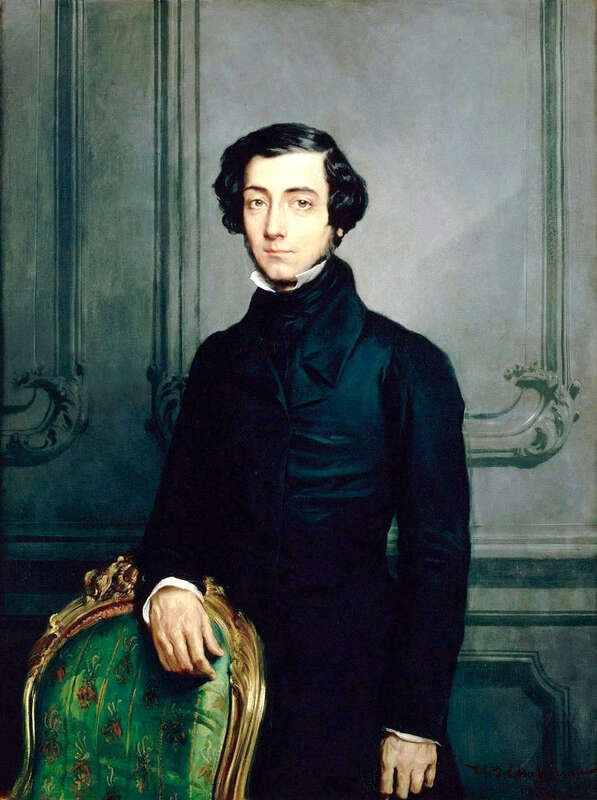 In Tocqueville’s view, Americans had effectively married the “doctrine of self-interest properly understood” with their commitments to Christianity. Not only did they “adhere to their religion out of self-interest,” but the self-interest they had in mind was as much about earthly benefit as heavenly reward. Finally, we need to listen to Tocqueville’s observations about American Christianity in light of what he has to share about American values more broadly. Tocqueville tells us that Christianity “reigns” in America “by universal consent,” but he also tells us that Americans’ near universal motive is self-interest, that they are skeptical of any authority (even within the church) not granted by the people themselves, and that there is “no other country where the love of money occupies as great a place in the hearts of men.” What are we to make of this? I’d love to hear your thoughts. In the end, I think we need to listen to both Tocquevilles, the one that underscores the centrality of faith to freedom and the one that reminds us that political influence doesn’t always go hand in hand with spiritual vitality. Did Alexis de Tocqueville think that “America is great because Americas is good,” as scores of politicians and pundits over the years have insisted? Did he conclude that “the secret to American freedom is American virtue,” as Eric Metaxas has recently claimed to be the Frenchmen’s “inescapable” conclusion? What did Tocqueville really believe about the American character, and why should we care if he has been misrepresented? In my last post I reviewed the three main categories that Tocqueville identified to explain why liberty had endured in the United States in the presence of unprecedented equality. He began by pointing to the crucial importance of “providential” circumstances “independent of man’s will,” most notably the propitious geographic situation of the United States and its vast store of natural resources. More important still were the system of laws inherited from the Founders, especially the overarching structure of American federalism, the safeguards built into the national Constitution, and the key role played by the American judiciary at both the state and national levels. Finally, Tocqueville underscored the paramount importance of what he labeled “mores,” the habits of heart and mind that shaped the ways that Americans interacted with each other and with their government. The first two categories had little to do with Americans’ character, and as I mentioned last time, to the degree that they helped to explain the perpetuation of liberty in the U. S., Tocqueville seems to be saying that American freedom has much more to do with divine grace than human goodness. The third category is different, however. In turning to mores—to what Americans believed and how what they believed affected how they behaved—Tocqueville is indisputably arguing that part of the reason that liberty is flourishing in America is because of American values. But what were those values? A false but clear and precise idea always has more power in the world than one which is true but complex. Tocqueville’s sketch of the American character is nothing if not complex, and to condense it to the simplistic assertion “America is good” makes an effective political slogan but misrepresents his argument badly. Remember that the central focus of Democracy in America is Tocqueville’s quest to understand the consequences of equality on society and politics. When it comes to the American character, he is most interested in those traits that either are shaped by American equality or shape equality’s effects on American liberty. He has much to say on the topic—almost the entirety of volume II is relevant—but here are the character traits that I would say Tocqueville finds paramount: Generalizing broadly, Americans as Tocqueville describes them are materialistic and acquisitive, independent-minded, individualistic (up to a point), rationally self-interested, and religious. Let’s take each in turn, and as we consider each, ask yourself how each might be viewed in the light of orthodox Christian teaching. Tocqueville also observed among Americans an “extreme love of independence.” A love of independence could be an admirable trait in Tocqueville’s mind. By his own admission, Tocqueville’s greatest “passion” was the “love of liberty,” and Americans’ love of independence could certainly foster that. But Tocqueville subscribed to the classical view that moral virtues and vices come not in pairs but in threes. Someone with too little love of independence was “servile,” with a mindset befitting a slave, but someone with an exaggerated love of independence could resent even legitimate authority. Such a person was “recalcitrant,” and recalcitrance was one of the character traits that St. Augustine positioned at the very heart of human nature after the Fall. In Tocqueville’s view, Americans’ passion for equality predisposed them to scorn any authority other than the unassailable moral authority of the majority. This caused them to be resentful of any intellectual, political, or religious authority not actually awarded by the people themselves. 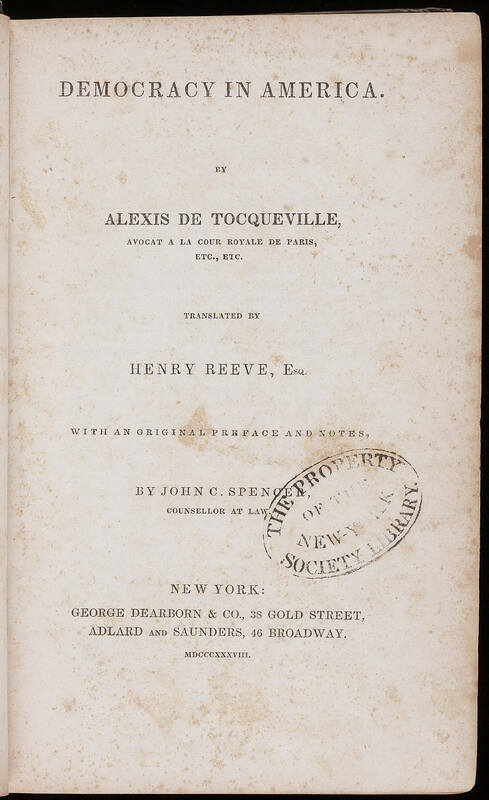 Title Page of the first American edition of Tocqueville’s classic, published in 1838. The word “individualism” first appeared in the English language in this book. Americans were also prone to individualism, according to Tocqueville. Modern-day Americans often view individualism positively, as an expression of admirable self-reliance and initiative, but Tocqueville saw it in a very different light. Aristocracy “linked all citizens together in a long chain from peasant to king,” Tocqueville explained, whereas democracy “breaks the chain and severs the links.” Equality placed citizens side by side but “without a common bond to hold them together.” Owing nothing to anyone, expecting nothing from anyone, men and women gradually withdraw from society into the cocoon of the family. In Tocqueville’s view, individualism eats away at community and undermines civic life. Happily, Americans in the 1830s largely offset this tendency with a penchant for joining forces with others to accomplish specific tasks. Americans were “constantly joining together in groups” to work toward common goals, whether it was the erection of a hospital, the improvement of a school, or the promotion of some moral or political goal. That they could join forces with their neighbors to accomplish tasks that they couldn’t accomplish alone reflected another of the character traits Tocqueville emphasized: the degree to which Americans were motivated by the rational calculation of self-interest. The pursuit of self-interest can be impulsive, reckless, and actually detrimental to wellbeing in the long run, or it can be rational, dispassionate, and prudent in a way that brings long-term benefits. The latter is what Tocqueville meant by “self-interest, properly understood,” and he argued in vol. II of Democracy in America that it was a doctrine that prevailed almost universally among the people of the United States. 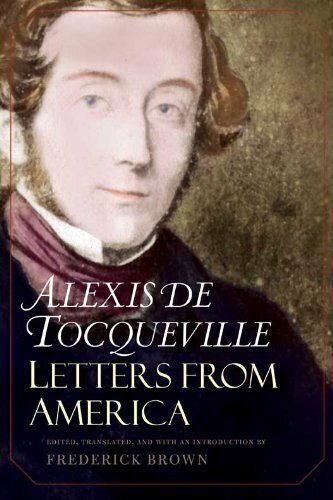 While Eric Metaxas insists that Tocqueville believed that “the secret to American freedom was American virtue,” Tocqueville begins his chapter on the “doctrine of self-interest, properly understood” with the contention that the idealization of virtue (defined as the denial of self for the good of the whole) was a hallmark of aristocratic societies, not democratic ones. In democratic ages, he contends, the ideal of self-sacrifice for the good of others gradually gives way to the belief that the denial of self in the near term can actually further self-interest in the long run. Americans no longer spoke of the beauty of virtuous sacrifice, Tocqueville found. Instead, they praised the usefulness of prudent self-denial. If they had a true guiding star among the heroes of the Revolution, it was Benjamin Franklin, whose “Poor Richard’s Almanack” had shown Americans the path to health and wealth through hard work and thrift. Finally, Tocqueville described Americans as surprisingly religious. “When I arrived in the United States, it was the country’s religious aspect that first captured my attention,” he informed his readers. To his surprise, the country that was “the freest and most enlightened” in the world, was also the country where religion’s “influence is greatest.” What Tocqueville had to say about religion in America is so important, and at the same time so complicated, that it will take an entire post to distill his observations. I’ll turn to that in my next post and (finally) wrap up this series on the oft-repeated claim “America is great because America is good.” In the meantime, I would love to hear your thoughts. In characterizing Americans as acquisitive and materialistic, independent-minded and individualistic, rationally self-interested and religious, was Alexis de Tocqueville making the case in the 1830s that “America is good”?